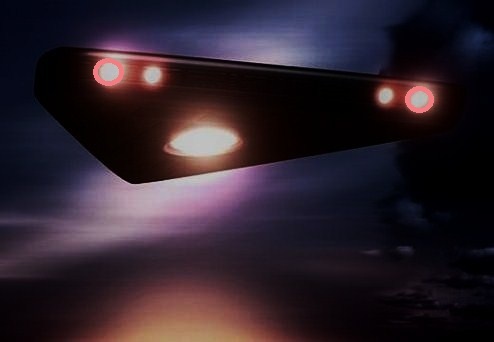 On March 30, 1995 a local farmer had an encounter with a strange craft in the vicinity of Transvaal South Africa. It was around 8:30 A.M., while driving his vehicle around a curve in the road, that Mr. Pienaar noticed a strange craft parked approximately 240 feet in front of him. Immediately, the engine in his brand new truck stopped. The craft had three landing gear legs which extended across the entire length of the road. It was estimated to be approximately thirty six feet high. The exterior surface resembled a translucent stainless steel color. There appeared to be seven rectangular port holes or windows in the upper dome of the craft. 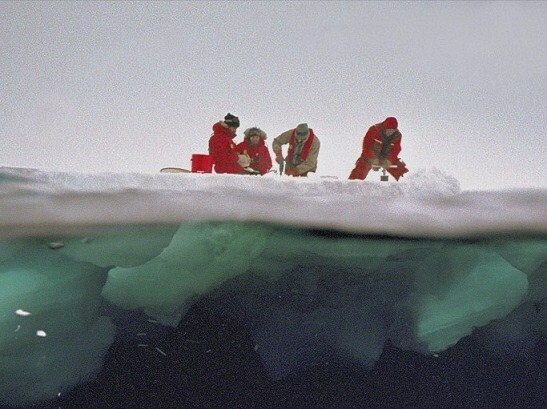 A red/violet/green glow illuminated the hull, and Mr. Pienaar noticed that there was a hole of about two feet in size located on the outer edge. The strange object emitted a sound which was described as a buzzing “electric beater”. At this point, Mr. Pienaar got out of his truck, but instantly realized that he could not take another step. It was as though the craft had trapped him in a strange magnetic lock. He was held in this position for approximately three to four minutes, after which the UFO suddenly rose into the air. Then, the craft sped away at a high rate of speed. Mr. Pienaar was then able to regain his mobility, and walked the few steps back to his truck. With the electro-magnetic effects of the craft now removed from his vicinity, he had no problem starting his vehicle. 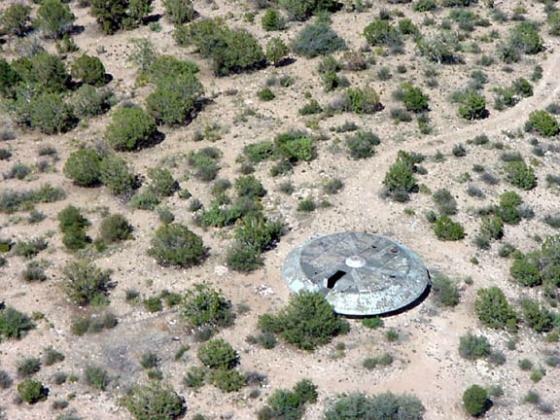 Mr. Pienaar returned to the location of the encounter thirty minutes after the event, and noticed that the pavement where the craft had landed was still scorching hot to the touch. – www.openminds.tv Thanks to Phantoms and Monsters. Above image is a rendering. On the evening of October 9, 2010, I stepped outside the house of a friend I was visiting in Glan Conwy, Wales. It was quite dark, there was a solid ceiling of clouds not high but not low either. I noticed a reddish-orange light in the sky heading in my general direction from the west. It was slow moving, much like the speed of a slow moving helicopter, my first thought is that it was and the bright light was its search beacon. I didn’t think too much of it until it came closer, but I continued to watch it. It was flying in a straight and level path well below the cloud cover and soon began a wide-arced turn which is when I started to realize it was something abnormal. The bright light never dimmed as a search beacon should have if it had been turned away. I dashed into the house, grabbed my camera and snapped off a shot. Unfortunately, the shutter remained open for 1/10 of a second causing a blurred shot. It was too dark to see the adjustments on my camera so I didn’t take any more shots. The object had grown closer as it made its turn to the north, appearing much like a very bright military flare at this point. There was no smoke coming from it, the sky was clear enough that I would easily have seen any. It made no sound, no red and white lights hazzard lights were flashing from either side and the intensity of the light made it impossible to see any details of the object. I doubt it could have been more than 10 to 20 feet in height and width. Its speed never varied, its trajectory seemed to be controlled as it never climbed, dipped or wavered to either side. There is no way anyone could convince me that this was a Chinese lantern…far too bright to be that. I estimate the closest it got to me was within 1/4 mile, its altitude being only 1000 to 1500 feet at most. I continued to observe the object for a full four to five minutes before it dissappeared over the hilltops to the northwest, heading in the direction of the nearest RAF base. The light grew only slightly dimmer as the object grew more distant. While the object was recorded on my camera the duration of the shutter opening showed movement of the camera and gave the recorded image the appearance of a fireball with a tail (a tail that the object I saw did not possess). I more adhered to the object being something military in nature due to both my lack of explanation of it and its course in the direction of the RAF base. That is until my friend called me from the UK on December 31, 2010 to tell me she had seen two objects near her house (that same house) which matched my description to a tee. That’s when I started searching and saw there seems to be many sightings identical in nature from many parts of the world. 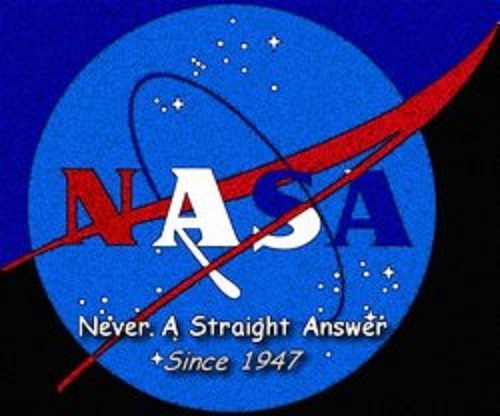 NASA ….NEVER A STRAIGHT ANSWER…. 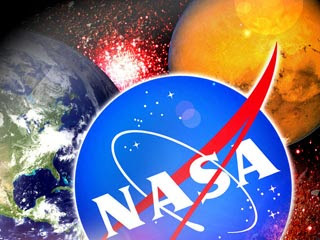 Yesterday NASA disavows its own scientist’s about claim of alien life which make us think hard, why the HELL NASA disavowing its own scientist and astronauts when its comes to existence of alien life. Please check down below NASA website fine print and you will also learn, what we talking about ? b) Establishes particular criteria for withholding or refers to particular types of matters to be withheld; Thanks to UFO Blogger. Floating mysteriously between the clouds, this orange-coloured disc sparked fears of extra-terrestrial activity. The bizarre, fluorescent “doughnut” was spotted, photographed and reported to the Ministry of Defence by a retired RAF officer. Details were published online yesterday in the latest batch from the files held by the National Archives in Kew, south-west London. 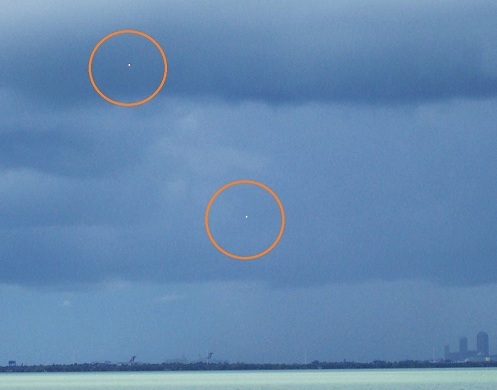 The unnamed ex-airman from Yorkshire saw the shape hanging in the sky near the city of Habarana, Sri Lanka, while on holiday seven years ago. 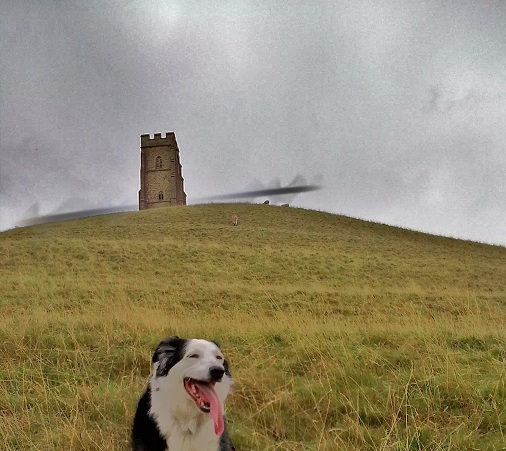 After capturing it on camera, he sent it to former colleagues at RAF Fylingdales, North Yorkshire. 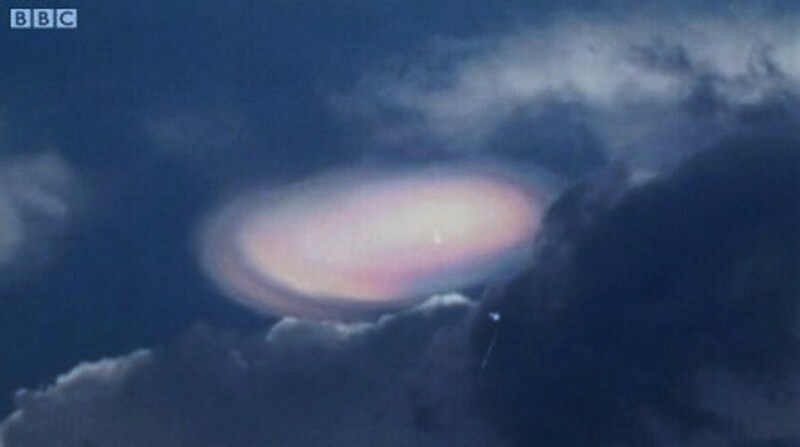 He wrote in his covering letter: “I noticed a partial aura in the sky, a minute or so later there was a clap of thunder. “Then a short while later a ring like a doughnut appeared – the ring was orange in colour with a white/cream finger pushed through. His letter and snaps were passed on to the X-files unit, but they wrote back saying they only had responsibility for sightings in Britain. 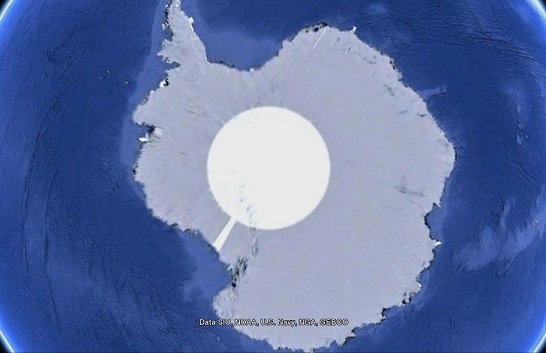 SOMETHING VERY STRANGE IS GOING ON IN ANTARCTICA….. Thanks to the Daily Galaxy. A Widnes youth claims he saw a top-secret ‘stealth’ aircraft swoop just feet above rooftops in Widnes. Laurence Baker, 17, said he was at home when a black sphere flew over homes near his house on Millington Close, Foxley Heath. Laurence, who studies art and design, is keen to know whether anyone else saw the same thing. He said the mystery orb had an antennae protruding from near its rear end, which was facing towards its front and over the main body. The teen believes the mystery vehicle was a ‘stealth’ aircraft because it appeared to be covered in black panels that ‘looked like scales’. However, he said he does not think it was the US Air Force’s world-famous B-2 Stealth Bomber, F-117A Stealth Fighter or any other recognisable aircraft. Laurence said the vehicle was heading silently toward North Wales at ‘jet fighter’ speed. He said it was about the same size as an RAF Typhoon and was flying just 20-30 ft above the rooftops. Despite the craft’s unusual design, Laurence does not think it was of extraterrestrial origin. He said: “I’m not going to say it was alien craft because that’s completely out of the question. “This was some kind of advanced stealth aeroplane. It had to be military. “I think it probably was something to do with the armed forces because unmarked helicopters have been hovering over Foxley Heath lately. “I was in my room when it happened and I’ve never seen anything like it before. The MoD did not respond to a Weekly News request for details of any reports it received on May 4. The above image is a rendering. So as usual I was star-gazing (and watching for any “strange lights”) from my front patio. As I moved my eyes over towards the Santa Cruz mountains I noticed a very bright orb which was pretty much stationary except it kinda moved left and right a little. During this time, there were a few planes flying by it, but maybe a mile distance away. Now the way these planes were moving by it was from North to South. I’d like to also add that this is not a normal flight path, and the only time planes or choppers fly in this area is during any strange light activity. 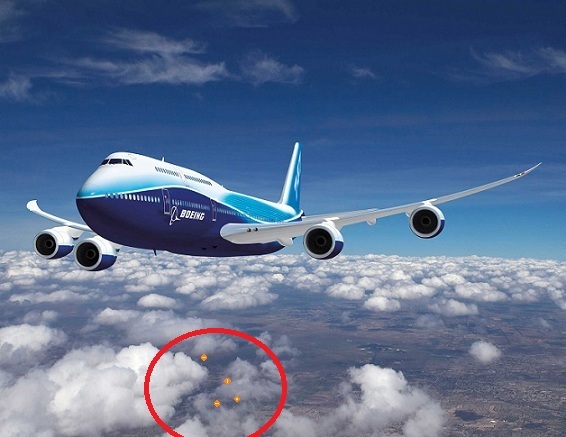 When the planes did fly nearby (it was a total of three), the “orb” would get even brighter then dim down just a bit after they passed. I remembered to get my camera out to try to get some photos this time. I zoomed in as much as possible and took about 15 photos. When I reviewed them, most came out looking like a galaxy of rainbow colors from the movement it was making, but in two, you can make out the shape of a triangle. After I took the photos, I went to the computer to upload them which took about 5-7 minutes. Meanwhile I kept checking back every few minutes to see if it was still present. At 2320 hours, I went back out to check again, and it was completely gone. Next week I should get my telescope back from the shop, and will be able to see things better, and will be able to take pics through my tele. I have noticed a pattern though. These “lights/orbs” seem to hover in one area for a 2-3 day span at the same time every night, then move onto another area and do the same. Maybe they are scoping out areas for something. This event last night was not too far from the Cupertino quarry. Maybe 3 miles away. There is so much activity in this area, and I wonder if there is some mineral or something they are after. This case is under investigation by MUFON California. STRANGE RED OBJECTS ORBITING THE MOON. I enjoy taking photos of the different phases of the moon. I do so on a regular basis, opportunity premitting. I was off on Thursday (05-05-11) and out in the yard w/dog around 20:?? 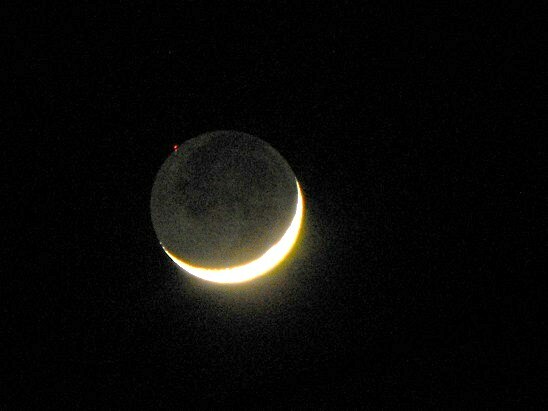 I saw a nice photo op of the Moon sliver 2nd day after new. I went and grabbed my camera (Fuji Finepix S1000fd)and tripod. I shoot in manual mode and as I’m a rookie amature, I start low with shutter speed and quick check the display and adjust accordingly. As for the Event, I didn’t really see it in full bloom until I transferred the photos to pc. I took a series of about 20 pics. Since I can only send 3 files, I will focus on the first 5 pics taken. The first 2 (#49 & 50, not incl) were overexposed (approx 6 sec. exp). The next two, #51 & 52, are the shots of interest. Both shots are at 1 sec exposure (the Moon shot value is lame as I was warming up, but…). 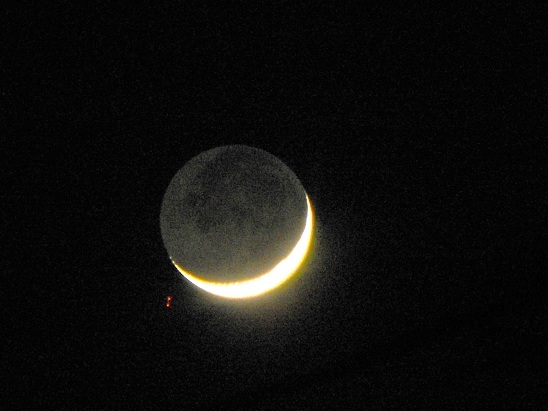 I also include #53 as it taken within the same minute as 51 & 52 but shows nothing but the Moon. On shot (#51), (set for a 1 sec exposure w/2 sec delay) I noticed a red spot on my screed display of my “moon shot”.  As I didn’t see it with my naked eye, I thought it was probably some “noise” so I refocused and took another shot (same settings)approx. 30 seconds later. This time I noticed 2 red dots (on the review screen) well below the area where I saw the first (in relation to the moon). I am an avid astronomer who sincerely believes in other intelligent life somewhere out yonder but also believe that if “they” are smart enough they can see us, We won’t see them. Gotta stay open minded though. I hope these pics have enough resoulution for you decipher something of value/interest and you have as much fun looking at them as I do. This case is under investigation by MUFON Arizona. Really don’t know what to make of it? when we both saw the lights in the window we immediately rushed out and looked above our house to see where they were coming from, we saw nothing in the sky – it was clear and still – all the stars were out. As I was looking out the front window towards the main road I could see a helicopter’s light and also hear it in the distance heading straight our way. I moved back to the back patio doors and we both watched the helicopter come straight over and move off to our left. The lights occurred for about 6 seconds each time and we saw them 3 times, they moved from one window to the next, back and forth making really strange light configurations and not behaving as a reflection, if traffic, would – red and white hard to explain but they were flashing white lights and the red lights seemed to split off/deviate from the triangle shape, like little fireworks? Thanks to Jodie Richardson. Jodie is a researcher and investigator for World UFO Photos of New Jersey. She lives in Coventry and is the UK link to World UFO Photos and News.org . Jodie and her husband witnessed this event in the early morning. The above image is a rendering. 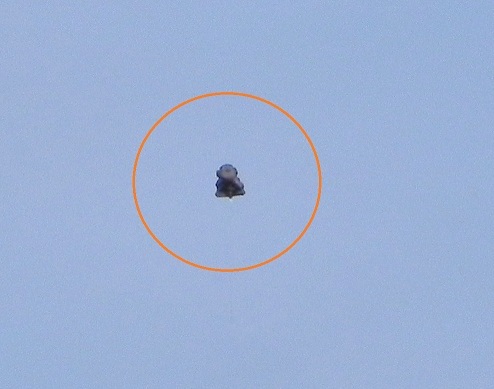 4-24-11 MYSTERIOUS OBJECT WITNESSED OVER MEDFORD OREGON. 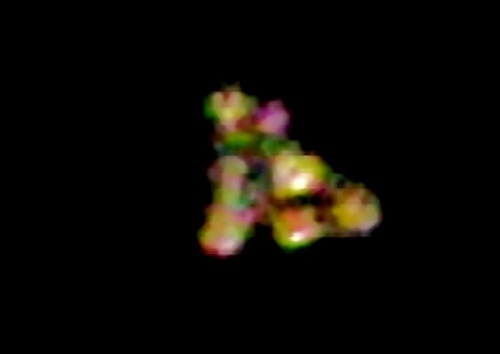 I spotted this odd shaped blob passing by at about 1500 feet altitude, traveling with the wind, West to East and about 1/4 mile away. At first it looked like a large vulture that was soaring, but then as it got closer we could make out the shape better. No noise, but my wife and I both noticed some sort of aura or energy field that seemed to distort the air right around this thing. I then ran inside to get my camera while my wife kept watching. Got this one decent picture, but when I tried to zoom in on it my camera started acting erratically and then I lost track of the object. I then called my brother that lives on the other end of town to see if he could see it, and he immediately did spot it and tried to photograph it but had the same problem with focusing. This case is under investigation by MUFON Oregon. 11/6/09 Approx 5:30pm – Clear day with the sun going down, the witness walked out from a store and saw 4 lights hovering in the sky. 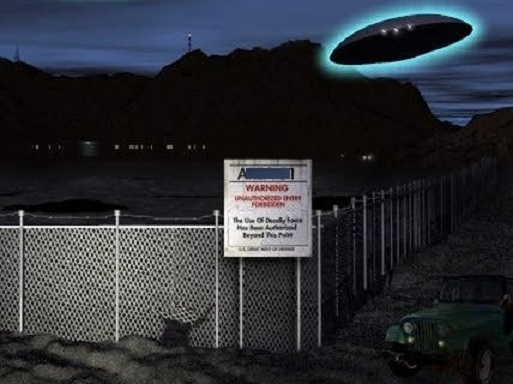 The lights went on and off randomly giving off orange yellow colors and emitted no sound or exhaust.The witness asked a person passing by if they also see the lights and they confirmed that yes there were 4 lights hovering in the sky. An aircraft, possibly a 747 passed above the lighted objects making a lot of noise. The lights reflected on the jet passing by. The witness observed the lights for approximately 15 minutes and at one point the lights stop blinking and turned off. He could then see these were 4 separate objects each the size of a car and dark in color. The witness went home to get a camera but when he returned the objects were gone, but there were now helicopters in the area with bright lights. Kens Note: The above image is a rendering. This case has been investigated by Ed Dobson of MUFON New Jersey. This case is now classified as ” unknown “. 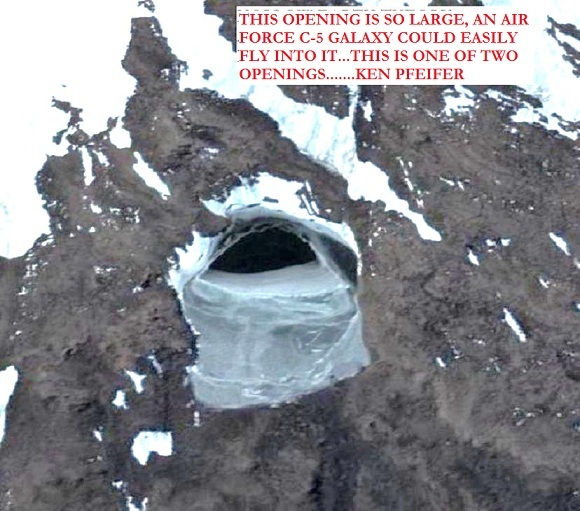 Disturbing news has been leaking out from the giant continent at the bottom of the world. Thanks to ” The Truth Behind the Scenes ” KENS NOTE: I reported on this a few years ago and I hope someone is finally going to explore this site. It is definately man made or possibly alien made. You would be shocked as to what you could find on google earth. 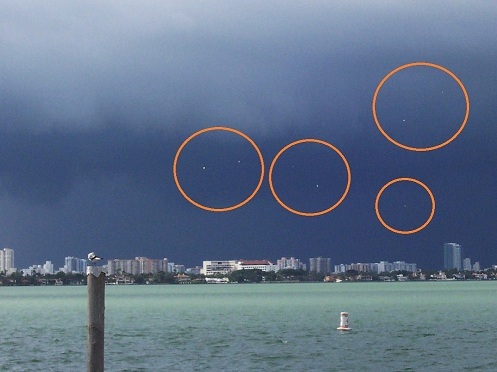 THE RODS…..SKY-FISH MYSTERY IS STILL UNSOLVED. The mysterious beings have long worm-like bodies with wide projections on their sides (like those of fish). The trouble is, they don’t live in water – they live in the air. The first time skyfish was photographed ten years ago by a film director Jose Escamilla. He originally thought that it was a UFO but then he realized that it was some living thing moving at a very high speed. He began studying them and realized that the animals invade the space everywhere. Besides he discovered that the creatures began reproducing at a much faster rate as a result of the global warming. Without a specimen in hand to examine, it’s impossible to determine whether or not skyfish are living organisms, but it’s Escamilla’s best guess that they are. Skyfish have only been captured on film and videotape. No one knows what they are, where they come from, but there are already specialized people – the catchers of skyfish, who mainly live in Japan. They say that their hobby is not very safe: the animals are terribly poisonous during the fall season. In Japan the skyfish are extremely fast and fly at 300 km/h. Analysis of film and video of skyfish from around the world indicate that they might range in size from just a few inches to perhaps over a hundred feet in length! How could something that large be unknown? That’s the essence of the mystery.